Equipped with D53K8000 CNC Ring Rolls, EDYJ 5000 T oil hydraulic press and large CNC vertical lathes and CNC drilling machines, we can manufacture different types of Flanges for wind power generator. The maximum diameter of the wind tower flange and wind power flange and yaw brake disc is 8000mm. 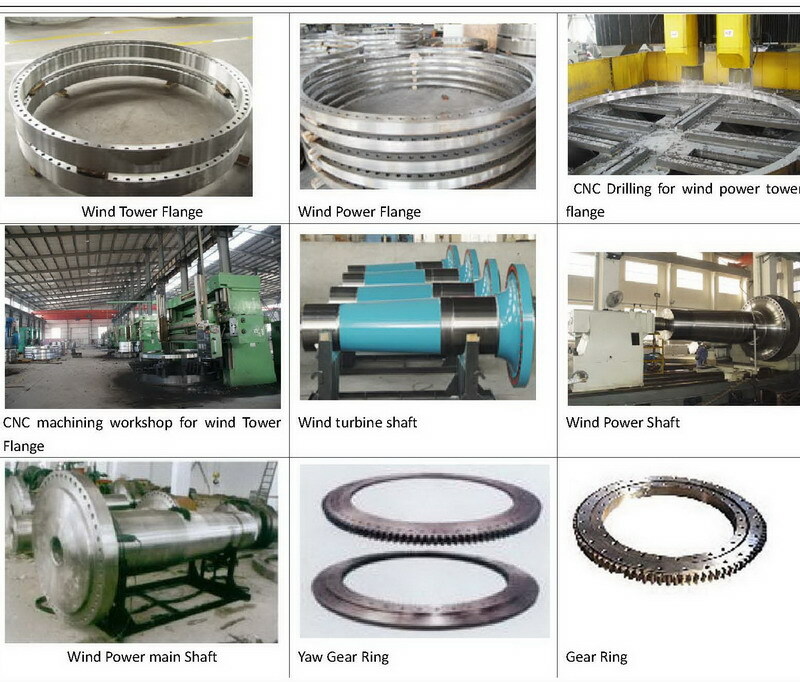 Also we can produce wind turbine shaft, wind power shaft, wind power main shaft, yaw brake disc, yaw ring gear.